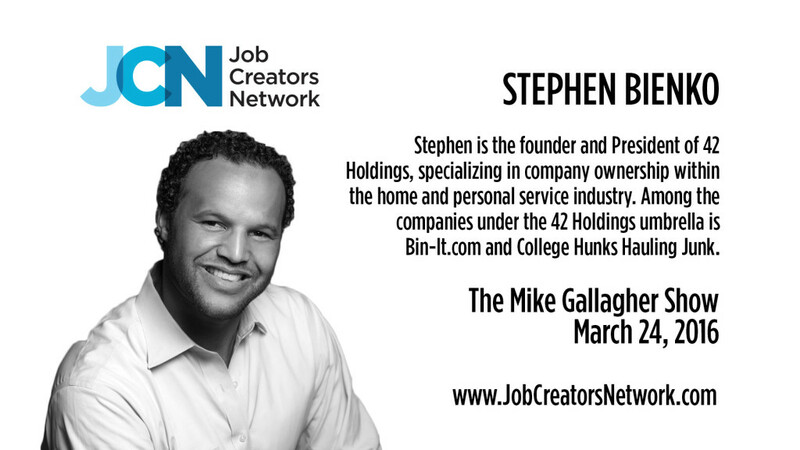 Stephen is a true job creator with his business, 42 Holdings, specializing in company ownership within the home and personal service industry. Among the companies under the 42 Holdings umbrella is Bin-It.com, a storage company, and College Hunks Hauling Junk and Moving franchises in NJ, Tennessee, Ohio and Florida. Prior to 42 Holdings, Stephen was the Senior Vice President of SequentialT a technology fan marketing company and served as the Director of Marketing for Kennedy Funding, the largest and most successful situational commercial lending institution in the United States. Stephen spent two years driving the marketing of 2008 Olympic Gold Medalist in the Decathlon, Bryan Clay. He spent his early years in business years training hundreds of professional athletes in all sports during the athletes’ high school years, boasting more than 45 of these athletes moving on to play for ivy league institutions. Stephen started his professional career in the NJ State Police. He has been featured on Fox News, Fox Business, Bloomberg TV, AMC, BRAVO, NJ Star Ledger, Wall Street Journal, The Tennessean, Luxury Life Magazine, NJ Monthly Magazine and many more. Mr. Bienko attended the United States Air Force Academy and Villanova University.